21+ show, more info tba. 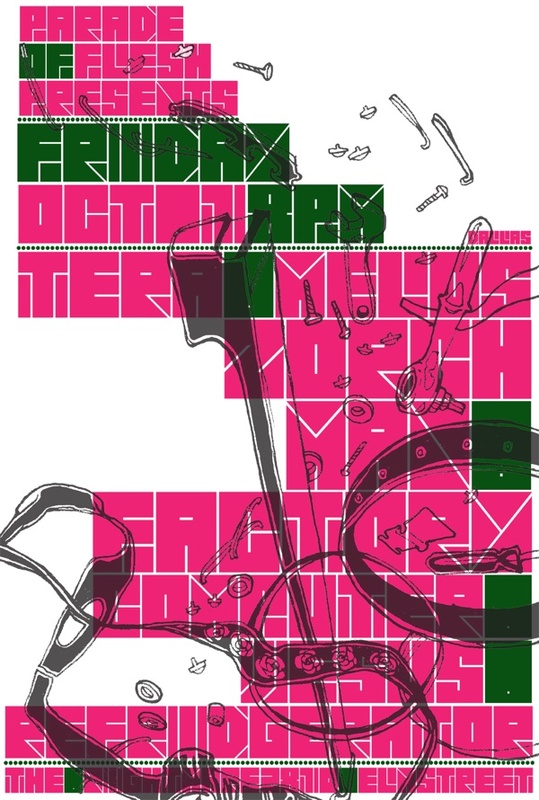 TERA MELOS – Patagonian Rats (sargent house) – This math-jazz punk assemblage has been on daily rotation upon receipt; especially the tracks “The Skin Surf” and “Frozen Zoo”. Initially, I listened to Patagonian Rats in its entirety to absorb what this Roseville, CA trio was trying to accomplish. Going through a myriad of lineup changes since their inception, did not deter Tera Melos from creating one of the most experimental, yet cohesive, math & jazz infusions this year. Should be appreciated by fans of Don Caballero, Fang Island, Hella, and Russian Circles. Comes out September 7th. MP3 of “Frozen Zoo“. This entry was posted on September 26, 2010 at 1:23 pm, filed under News.